Emergency Locksmith Easton PA available here, 24 hours, day and night. We are the leading local locksmith company in Easton PA to provide you with a fast and efficient emergency locksmith services. That is to say, our emergency locksmiths are working for you 24 hours a day 7 days a week. With this in mind, we would also be happy to assist you with your next locksmith project. 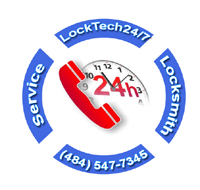 LockTech24/7 mobile locksmiths are ready to take your call to the next level. When you look for an emergency automotive locksmith services in the Easton area, LockTech24/7 is the best locksmith service you can get. This is because of our fast and efficient auto locksmiths who can get you back on the road, as soon as possible. 24/7 emergency automotive locksmith services in Easton PA when you need us most. This includes all Easton PA Metropolitan area, such as Wilson, Palmer, and Fork Twps. 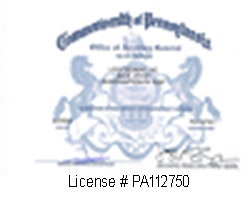 LockTech24/7 is here for you in the North Eastern Pennsylvania region. Emergency Automobile Lockout Easton PA – 24/7 auto lockout service whether you drive a small car, truck, or semi-trailer. Emergency auto locked out services are available within minutes. Call our emergency locksmiths on duty to take your call. Emergency Trunk Locked Out in Easton PA – When it comes to auto trunk locked out, it can be a difficult task. Yet, we are able to help. When you get your only car keys locked in your trunk, don’t get panicked! We are here to help! LockTech24/7 technicians can unlock your trunk! Emergency Semi-Trailer (18 Wheeler) Lockout in Easton PA – To say nothing of car lockout, we are the locksmiths to call when you’re locked out of your truck. It doesn’t matter the size and how big it is. We are, at LockTech24/7 can handle any truck lockout situation. Camper Caravan Door Unlock in Easton PA – If you’re traveling in Easton PA right now, and need an emergency auto locksmith assistance to open your RV door or your camper caravan door, we are here to help! Don’t let your vacation goes down, simply call us to unlock your vacation. Emergency Broken Car Key in Easton PA – Breaking your car key is not a pleasant moment. Yet, this is not the end of the world. This is the reason why you should call us in order to get fast emergency broken key extraction service. Emergency Mobile Lost Car Key Made in Easton PA – When you lose your car key it can be a stressful moment. We, at LockTech24/7, are experts in replacing car keys and key fobs. Emergency Car Ignition Lock Repair Easton PA– Do you have a Chrysler, Dodge, Chevrolet, Nissan, or Honda Ignition that fails to turn to ON position? In most of the cases, we are able to repair your ignition, no matter brand or model. You would be able to use the same key. Emergency Car Ignition Lock Replace in Easton PA – If your ignition lock is in a really bad condition, we can replace it with a new ignition. This means you would get the key code of your new ignition lock in order to maintain control when you need a new ignition key to your car. We are the #1 emergency residential locksmith company in Easton PA. This is because we care about extremely high customer satisfaction, as well as providing top-notch customer service. We know when you need an emergency residential locksmith in Easton, you need it fast. In addition, we also know you may need a locksmith at any time. For this reason, we provide emergency residential locksmith in Easton, day and night, 24/7 round’ the clock. Residents of Easton PA and surrounding areas rely on LockTech24/7 any time they need a residential locksmith service to their home. With this in mind, they also can be sure that the job is done right. Residents of Easton, Wilson, Palmer, and Fork Twp hiring LockTech24/7 in a time of needs. Please call us for a free estimate and phone consultations. Emergency House Door Lock Opening Easton PA – Don’t hesitate to call us when you need to unlock the door of your home. We can unlock any lock and open any door in your house, whether a front door or a bedroom door. When you lock yourself out of your home, call our emergency residential locksmiths, as soon as possible. Emergency Apartment Locked Out Easton PA – In general, there is no difference between unlocking house door to apartment door. We can unlock your apartment door in no time. Don’t hesitate to call the fastest emergency locksmiths in Easton PA. We offer 20 minutes response time. Emergency Unlock Bedroom Door in Easton PA – Bedroom lockout service is another one of our emergency residential locksmith Easton PA. Generally speaking, unlocking a bedroom door is exactly as unlocking the front door of your house. Let our emergency residential lockout experts deal with this problem and unlock your bedroom door in no time. Emergency Residential Safe Locked Out Easton PA – Safe lockout service in Easton PA, and the surrounding areas. We will come to your home and crack open your safe box, so you can retrieve your important documents inside. Emergency Broken Lock Repair Easton PA – Many times, you can feel your lock is going to break off, but other times, a lock can break instantly, and out of nowhere. When you feel the lock is going to break, you can address the problem while it is not an emergency situation. Please don’t wait too long because your safety is also in jeopardy, please call us as soon as possible. Emergency Broken Residential Key Extraction Easton PA – A broken residential key can be removed by our residential locksmith Easton PA. In this case, we have key extraction kits with special tools to remove a broken key. With this in mind, we are available 24 hours – 7 days a week. Emergency Patio Sliding Door Repair Easton PA – We service patio door locks of all brands, styles, and shape. Another key point is we also service patio door tracks, as well as rollers. Call us whenever you need service to your patio door, whether you need for locks, tracks, or rollers. LockTech24/7 is here ready for your call! Emergency commercial locksmith Easton PA is available at all time. It must be remembered, we never close! Our commercial locksmiths in Easton PA are ready for any commercial locksmith task that comes on your way. We have years of experience with everything regarding commercial locksmith services. When it comes to emergency commercial locksmith needs, you want to deal with the best locksmith in Easton PA. Look no more! You’ve found the best commercial locksmiths in Easton PA. Don’t hesitate to let our experts deal with your commercial locksmith task. Emergency Commercial Lockout Easton PA – Fast emergency commercial locksmith is available when you call us, day or night. With attention to providing high customer service, our time response at night is fast as during a day. Call us if you’re locked out of your commercial space, we’re ready for your call, day and night. Emergency Commercial Lock Repair in Office Easton PA – Commercial lock, same as a residential lock, can break out of wear and tear. You may know, we carry many styles of commercial locks in our vans, so in a case and your lock is broken right now, we can come and replace it. Yet, we always try to repair a broken lock, in the first place. Emergency Broken Key Extraction in Office Easton PA – If you ask if we can remove a broken key out of a commercial lock? The answer is, yes! Call our emergency commercial locksmiths to remove that broken key and make you a new key on the spot. LockTech24/7 emergency commercial locksmith Easton PA are here for you. Emergency Push Bar Repair Easton PA– Panic Bar is an exit device that installed usually on your back door. A panic bar is locking the door automatically when it closed. In a case and you have an issue with your panic bar right now, we can help. Call our number now and receive fast emergency commercial locksmith in Easton PA.